FOR THE FIRST time in the county’s history, the Clare men’s football team reached the All-Ireland quarter-finals this year. Indeed, they previously qualified for the All-Ireland semi-final as Munster champions in 1992 but this is the furthest the county has advanced since the introduction of the back-door system. The Banner’s Niamh O’Dea had two brothers (Cian and Jack) involved in that impressive run and she also played a pivotal role in steering the Clare ladies to an All-Ireland Intermediate final against Kildare this year. Later today, she’s back on club duty as the Banner converge on Mallow to battle it out for a senior Munster title. Standing in their way, however, are Mourneabbey of Cork, who are seeking their third consecutive title. It’s a repeat of the 2014 provincial decider where the Clare side were defeated, and O’Dea says they’ve learned valuable lessons from that loss. “There’s no getting around it,” she told The42, “they’re a good team and they’ve been in the last two All-Ireland finals. But, look, at the end of the day, we’ll worry about our own game. If we can perform on the day there’s nothing that can stop us. Obviously they’ve a few key players to look out for but it all comes down to ourselves and how we play and how we can get the best performance out of ourselves. The Banner were crowned the Clare county champions for the sixth successive time earlier this year, and wins in the Munster B Championship against Southern Gaels (Kerry) and Ballymacarbry (Waterford) granted them the chance to atone for that loss two years ago. O’Dea says that each fixture has brought more improvements to their game. “The year has gone good so far,” she says, “no complaints. The game against Southern Gaels was probably the most open we’ve had in a long time, it really ebbed and flowed up and down. We’d a lot of goals and a lot of scores. It was a good game to come out on top of because they were a good strong team. “Against Ballymacarbry, we’ve played them a lot over the last six years and it’s been back and forward all along. But they’ve all been tough games and very different games. It was ideal preparation because in every single game there were different tactics and that,” O’Dea added. The UL student, who is currently doing a Masters in Sports Performance, turned 23 last week and a win today would be a birthday present worth waiting for. Her father, JJ, forms part of the Banner management team and her sister, Eva, would be lining out today but for an extensive injury she sustained while playing for Clare in their All-Ireland semi-final win over Tipperary. And with brothers Cian and Jack also playing for Clare, there’s a good blend of rows and laughs whenever football is discussed in the O’Dea household. Cian and Jack even organised a supporters’ bus to travel to Croke Park and support their sister in the All-Ireland final. As for the wounds left by that threadbare defeat to Kildare, O’Dea admits that while the hurt still lingers, it also offers her motivation to ensure her club side make the most of the opportunity presented to them today. Email “Banner ladies seeking Munster glory to cap off a great year for Clare football”. 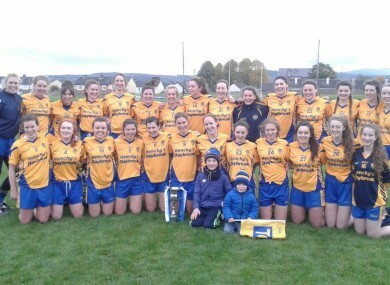 Feedback on “Banner ladies seeking Munster glory to cap off a great year for Clare football”.